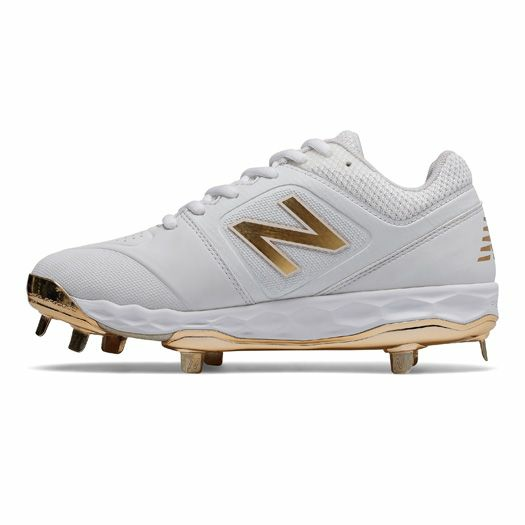 The brand new VELOv1 Women’s Fastpitch White and Gold Cleat is the only example you need when telling people that New Balance is the best in the game. They have simply just done it again. This fastpitch cleat provides players with a handful of technological features that will help you feel comfortable on the field while learning and developing to become the best you can be. 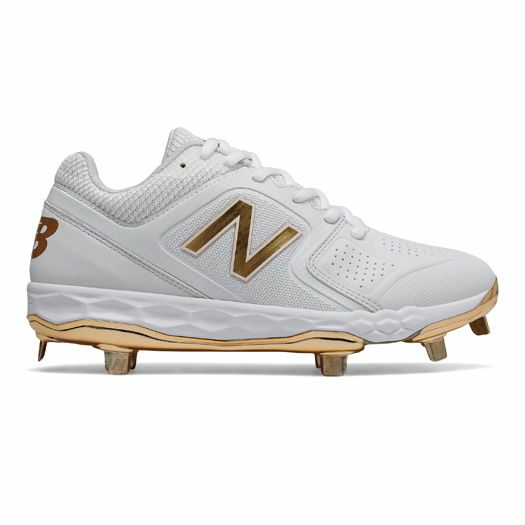 With a full-length Fresh foam Midsole for the best feeling of any cleat period, the VELOv1 series has been given an all-new spike configuration, which has been designed to be sturdy and offer flexibility and stability in the exact places you need them. 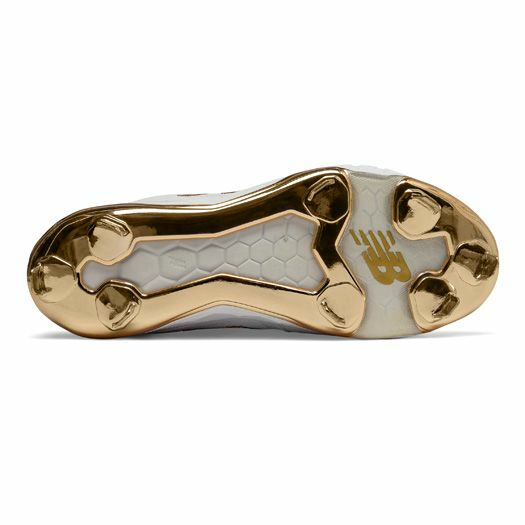 However, it’s obvious why these cleats are so special. 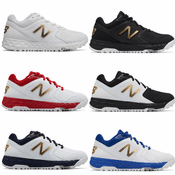 Its all-white color base with a gold plate and logos is the reason you’re looking at them. 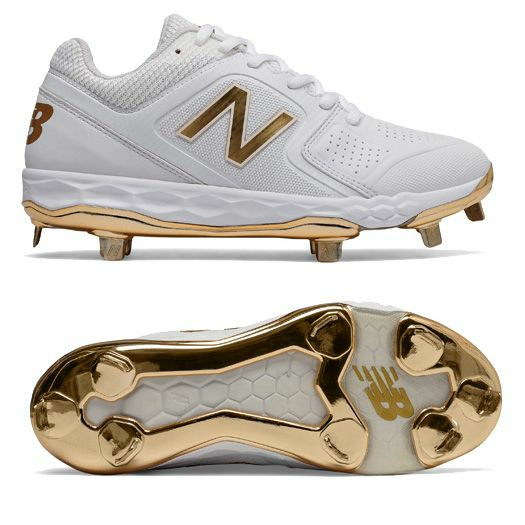 I wouldn’t disagree with you if you bought these cleats for the look alone, but with advantages like these cleats have, I’d say these New Balance VELOv1 Women’s Fastpitch White and Gold Cleat is your best chance at becoming the best. 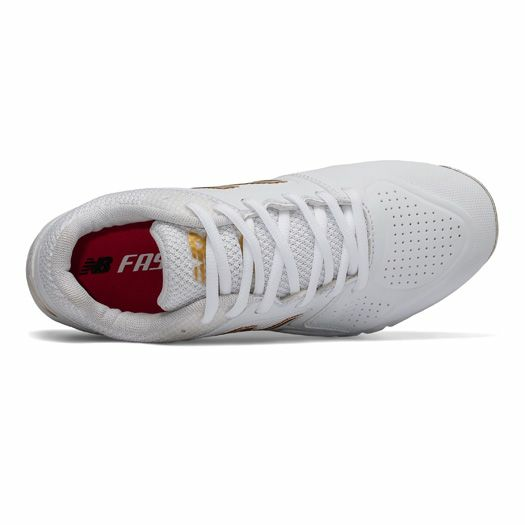 -	Fresh Foam Midsole: full length, helps relieve stud pressure with plus cushioning. 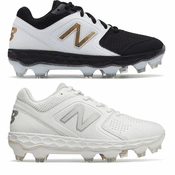 -	8-Spike Cleat Configuration: built for flexibility in the forefoot and stability in the heel. 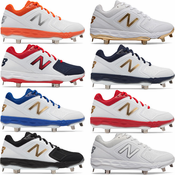 -	Lace Cage: offer a clean, game-ready look.